Guarded by the intimidating face of the roman god Neptune stands the 1200 seat-capacity the New Theatre. It was built in 1911 by the Bollar Architecture who was hired by Mr Sparks of Sparks hospital in Fort Smith. 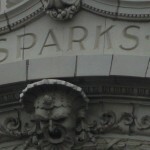 Mr. Sparks was so inspired by the New Amsterdam Theatre’s style he hired the same architect. It opened its doors September 29, 1911 charging the steep price of ten dollars. Amazing performers of the day graced the stage such as George Arliss, Evelyn Nesbitt Thaw, Mary Astor and Shirley Temple. 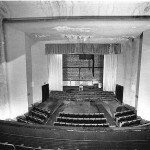 The theatre went through many renovations such as new ventilation/cooling and wiring systems in the 20’s and 30’s. This performing arts theatre was purchased by the Malco chain in 1942 and turned into a movie theatre with art deco style architecture. In the 1970s it was permitted to show pornographic movies, after this business started to decline and eventually closed its doors. The building went through many owners and was pretty much gutted. 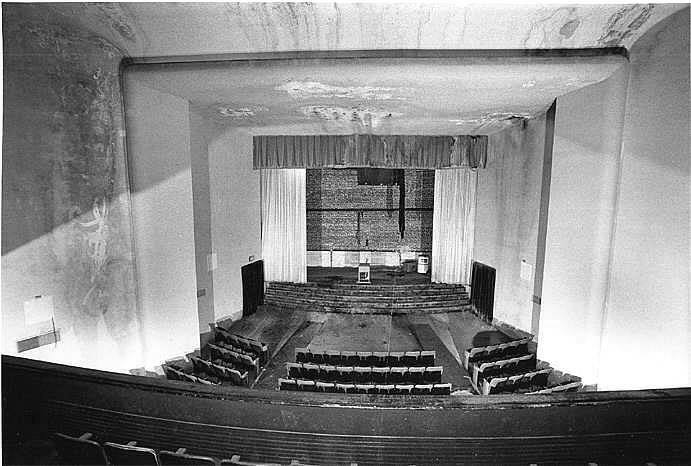 Today’s current owner wishes to preserve and restore this magnificent theatre to its original glory. With its Beaux-Arts – Art Nouveau architecture it was listed under the National Register of historical places on November 18th, 1999. Big thanks to James Kirkendall for submitting these photos! Any hope of it being restored? I was more interested with the stage and balconies than the Art that is in there. There are great informative getcoolessay.com information about the building which are build long time ago and still in good condition. Old buildings are more stronger then today building that new theater architecture is impressive and beautiful thanks for sharing that information about cinema in detail that have huge setting for the people. I just found your website. This is soooo cool. I love it. Keep up the good work. We can't forget these beautiful places.